A new deadline of March 2017 has been introduced by the International Olympic Committee (IOC) for fresh elections to be held by the National Olympic Committee of Kenya (NOCK) after a failure to meet an initial December timeframe. 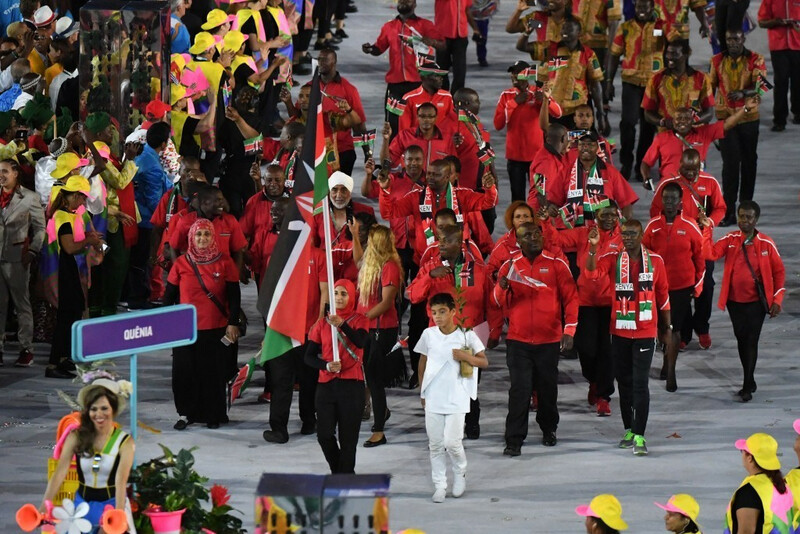 In a letter addressed to NOCK President Kipchoge Keino and Kenyan Sports Minister Hassan Wario, the IOC admitted it was "extremely regrettable" that no substantial progress has been made so far. They directed NOCK to formally convene an Extraordinary General Assembly by the end of January 2017 or the beginning of February in order to approve proposed constitutional changes. "It was indeed extremely regrettable to note that the meeting of the NOCK on November 24, 2016, which was supposed to bring together all the member federations and stakeholders, was disrupted by a group of people and had to be interrupted," said the letter, co-signed by IOC deputy secretary general Pere Miró and Association of National Olympic Committees of Africa (ANOCA) President Lassana Palenfo and obtained by insidethegames. 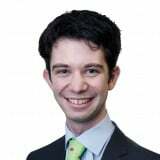 "Such actions go against the values and principles which should prevail within the Olympic Movement and are unacceptable. 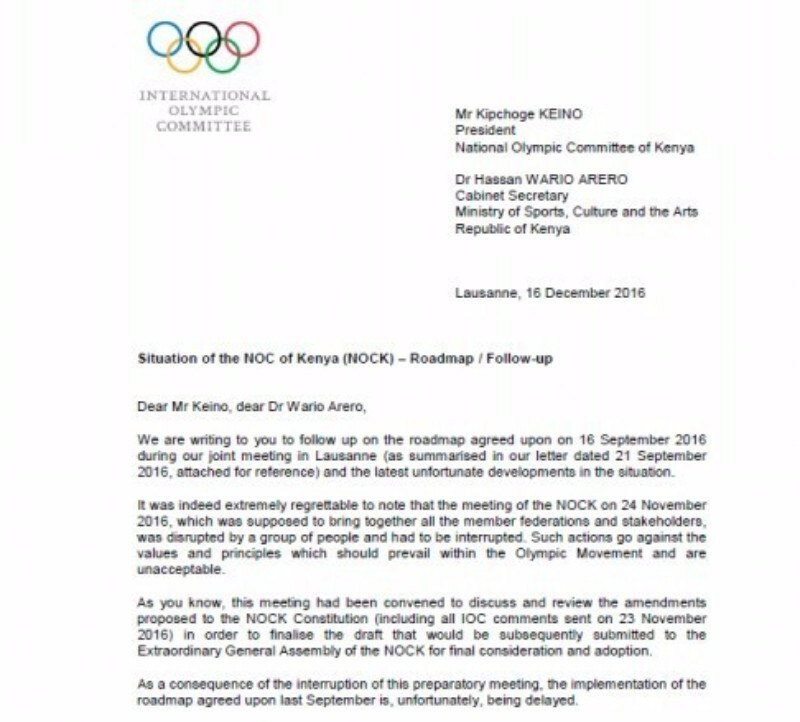 "As you know, this meeting had been convened to discuss and review the amendments proposed to the NOCK Constitution - including all IOC comments sent on November 23, 2016 - in order to finalise the draft that would be subsequently submitted to the Extraordinary General Assembly of the NOCK for final consideration and adoption. "As a consequence of the interruption of this preparatory meeting, the implementation of the roadmap agreed upon last September is, unfortunately, being delayed." Wario disbanded the NOCK in August following a catalogue of problems during that month's Olympic Games in Rio de Janeiro. Officials were accused of key accommodation and travel mishaps in the Brazilian city, including the "mishandling of accreditation", as well as kits which allegedly never reached athletes. Divisions have since emerged between different factions of Kenyan sport before the November 24 meeting was disrupted. A final draft of of the constitution must be submitted to the IOC by January 9, 2017 for "final review and prior approval". The elections which will be held under the new constitution will be supervised by the IOC and ANOCA. It appears likely that a failure to meet the latest deadline will lead to the African nation being suspended by the IOC Executive Board when it meets in March. "We call upon all those concerned to act responsibly and constructively to ensure a smooth and successful implementation of this roadmap within the new deadlines prescribed, failing which the case will be reported to the IOC Executive Board for further action in accordance with the Olympic Charter," added the IOC in the letter. The letter sent to the NOCK can be read in full here.